When Labonte purchased his dream home and wanted smart home capabilities, local integrator Advanced Tech Systems suggested an ELAN home automation system. Labonte wanted to have an immersive audio experience throughout his new home, so local integration firm Advanced Tech Systems, Inc. installed 14 SpeakerCraft in-ceiling speakers, with eight rooms including Sunfire subwoofers. After winning the NASCAR Winston Cup Series Championship in 2000, veteran race car driver Bobby Labonte has been investing in some well-deserved relaxation far from the frenzy of the track. In late 2017, Labonte purchased a 4,000-square foot cabin on over 15 acres of land within a mile of High Point, N.C., with the intention of turning it into his tranquil dream home. With leisure top-of-mind, Labonte wanted his laidback abode to include a simple, centralized means of control that could seamlessly manage audio, video, climate, security, and lighting. During the gut-renovation, Labonte asked Jeff Grissett, co-owner of local integration firm Advanced Tech Systems, Inc. for his suggestion on a home automation system that could do just that. Grissett and his team installed one ELAN gSC10 controller paired with an ELAN S1616A 16×16 Audio Matrix/Amplifier for multi-room audio, and an ELAN EL­4KM­V88 8×8 HDBaseT Matrix to send video content to all five of the home’s televisions. Advanced Tech Systems integrated the ELAN system with a Lutron system for lighting control and Aprilaire HVAC system for climate control. “Not only can Bobby and his wife access every system with ELAN touchpanels and remotes, but they can use Amazon Alexa to control their home with voice commands,” Grissett explains. Labonte also desired high-quality audio indoors and outdoors. Advanced Tech Systems installed 14 SpeakerCraft in-ceiling AIM275 Speakers, four AIM LCR5 in-walls paired with Sunfire HRS8 subwoofers in eight rooms of the house, with four SpeakerCraft OE6 speakers on the patio and porch. Together, they provide an immersive yet nearly invisible music listening experience. When the family is in the kitchen, they can control the lights and music hands-free by using the Amazon Alexa platform installed in the home. "The audio system is really slick. The in-ceiling and in-wall speakers provide the best possible sound quality, but you’d never know they were there unless the sound is on,” Labonte explains. 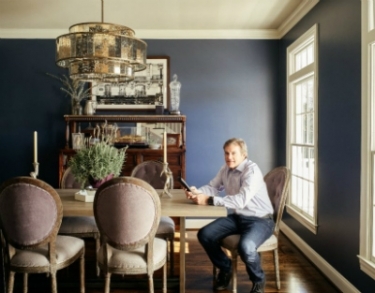 During the renovation process, Labonte worked with interior designer firm The Decorator’s Edge to seamlessly blend the home’s design with top-of-the-line technology. “Our goal was to turn a cabin into a traditional home and incorporate unique, modern accents,” lead designer Eric Lackey says. The Advanced Tech Systems team backed up the new A/V system with a Furman F1500­UPS Battery Back-Up with linear filtration and surge protection in the equipment rack to ensure that the system would run smoothly after the project completed. “Power protection is so important, and this Furman product includes a UPS power supply for the equipment that requires battery backup,” Grissett adds. 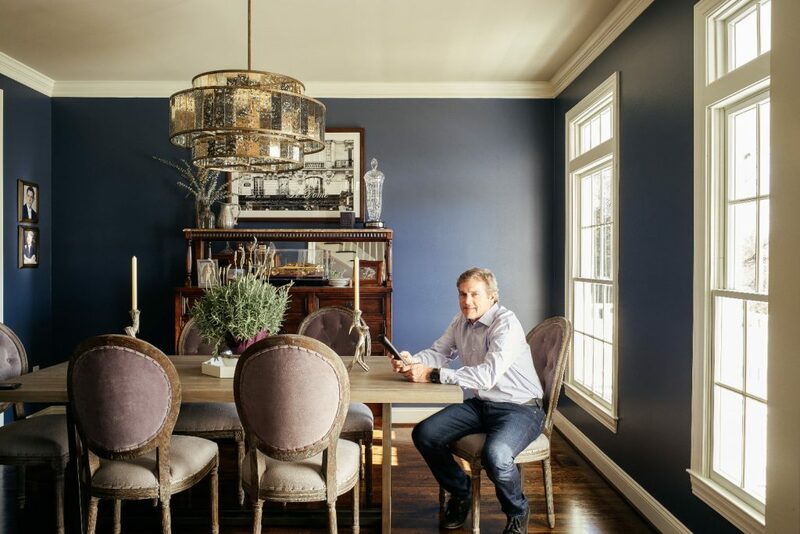 To see more pictures of Bobby Labonte's smart home, check out our slideshow!